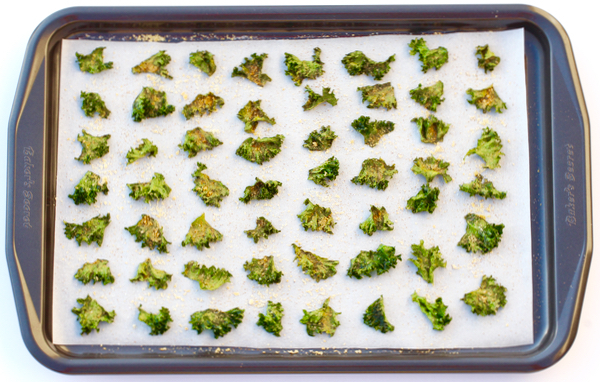 I can't get enough of these yummy Garlic Parmesan Kale Chips! Healthy, Easy, and SO delicious! Place Kale pieces into large bowl and hand toss with Olive Oil. Spread out over a baking sheet lined with Parchment Paper. Sprinkle Kale with Parmesan Cheese, Garlic Powder and Salt.